Cardio Debate > Cardio Notes > Diagnosis and Prognosis > Refractory Angina Pectoris: how important an issue? 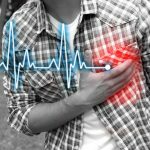 Refractory Angina Pectoris: how important an issue? Refractory angina pectoris, defined as “severe stable angina due to coronary artery disease resistant to conventional pharmacological therapy (beta-blockers, calcium antagonists and nitrates) and/or revascularisation procedures such as coronary artery bypass grafting (CABG) or percutaneous coronary intervention (PCI) (1), appears to represent a major burden to health care systems worldwide. The incidence of refractory angina has been estimated to be in the region of 30,000 to 50,000 cases per year in Europe. Despite the importance of the topic,(2) little progress has been made regarding the management of this debilitating condition in the past decade. This is despite major technological advances in diagnostic imaging, interventional procedures and the advent of newer pharmacological agents useful for the treatment of stable angina pectoris. I think it is important to assess the reasons for the stagnation of the field if we are to provide adequate care for the growing number of patents who do not appear to respond to what is currently considered optimal management of angina pectoris. Definition of “refractory angina” and pathophysiological mechanisms – The current definition, unchanged since 2002, reflects the traditional notion of angina being caused almost exclusively by obstructive coronary artery disease. It is necessary to expand this concept to include other pathogenic mechanisms that can contribute to the development of symptoms unresponsive to myocardial revascularisation i.e. coronary microvascular dysfunction, microvascular spasm, diffuse epicardial coronary artery spasm, myocardial stiffness affecting perfusion, etc. Identification of subgroups of patients in whom mechanisms responsible for their refractory chest pain should be tackled specifically. This requires investigation of functional mechanisms as opposed to just focusing on the coronary anatomy. Define the true role of adjunctive therapies such as spinal cord stimulation, TENS, ECCP, coronary sinus reduction, behavioural therapies, etc. Developing clear diagnostic pathways and assertive management guidelines based on evidence. Close collaboration among cardiovascular physicians, pain specialists, nurses, as well as patients and their carers should be a priority. The above suggestions are just a few of the very many tasks and challenges facing healthcare professionals who look after patients who do not respond to conventional anti-anginal therapy. Mannheimer C, Camici P, Chester MR, et al. The problem of chronic refractory angina; report from the ESC Joint Study Group on the Treatment of Refractory Angina. Eur Heart J 2002;23:355e70. Wright C, De Silva R. Management of refractory angina: the importance of winning over both hearts and minds. Br J Cardiol 2016;23:45–6doi:5837/bjc.2016.018. Professor Kaski highlights critical unmet needs in the management of the growing population of patients with refractory angina, and identifies key areas for research. Recent data emphasise that this condition carries a prognosis that is no worse than for other patients with stable coronary artery disease. However, these patients remain highly symptom limited with very poor quality of life. They are frequently hospitalised for chest pain, repeated attenders in both the Emergency Department as well as in primary and secondary care outpatient services, and thus incur a disproportionately high utilisation of healthcare resources. In general, conventional models of cardiac care do not address the complex clinical needs of this patient population. In clinical practice, patients diagnosed with refractory angina comprise a heterogeneous group who remain significantly limited by persistent debilitating chest discomfort despite optimised conventional therapy. The coronary anatomical features in these patients are highly variable and myocardial ischaemia is often not demonstrable using conventional stress imaging protocols. The absence of demonstrable ischaemia should not rule out a diagnosis of refractory angina. It is important to recognise that irrespective of aetiology, patients with refractory chest discomfort commonly believe that their symptoms originate from their heart and that these symptoms may augur a life threatening cardiac event. This lays the foundation for the development of a fear driven psychological downward spiral whereby pain begets pain, leading to the development of persistent symptoms, negative health beliefs and behaviour, and diminishing quality of life. In this respect, these patients may be better managed if they are considered as having a “chronic chest pain syndrome” with a variety of aetiological factors. The management of refractory angina is challenging and frequently a source of great frustration for clinicians. The multifactorial nature of the clinical needs and priorities of patients with refractory angina is often under-appreciated. Refractory angina can be effectively and efficiently managed provided that a combination approach including pragmatic rehabilitation, anti-ischaemic therapy and modulation of the pain pathway, is adopted. I believe that this is best delivered through dedicated multidisciplinary specialist units, which can provide the gamut of investigative and novel therapeutic approaches, and tailor management to individual patient needs. Provision of such services remains scarce. The answer is simple – yes very important, but of course the solution is more challenging, hence the wide ranging list of proposals from Professor Kaski. Despite the huge advances made in the treatment of coronary artery disease we increasingly come across patients in whom conventional treatment for angina fails to control symptoms. As Professor Kaski suggests it is time for a re-definition of refractory angina (RA), similar to the goals of the Canadian Cardiovascular Society1 in 2009, and to gather our expertise to refine our definition and make some new recommendations. Patients with RA are a heterogenous group and should be treated in specialist centres offering a full cardiological and cardiac pain management service as well as access to psychological and rehabilitation services. A Nurse Specialist is ideally suited to seeing the patients clinically for an educative and rehabilitation programme as well as providing vital telephone support to help relieve the feelings of isolation and anxiety commonly seen in these patients. Importantly, the patient has to be assessed and receive a tailored treatment plan in order for there to be any impact on symptomatology. Moreover, we need to change the perception amongst some colleagues that alternative approaches to the management of complex angina can be extremely effective. We also need to produce the evidence for our colleagues and patients so that they feel confident that referrals to a RA service will be cost effective and have lasting benefit for our patients.